Breastfeeding has countless benefits for both a mother and her baby. Breastmilk contains all key nutrients babies need, plus probiotics and antibodies. Breastfeeding may help prevent many infant health problems. Breastfeeding also decreases a mother’s risk of developing breast and ovarian cancer. The World Health Organization recommends exclusive breastfeeding for the first 6 months and continued breastfeeding up to 2 years of age and beyond! Breastfeeding education has been shown to help increase breastfeeding rates and success and improve breastfeeding experiences. 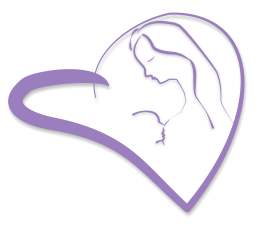 White Mountain Breastfeeding Coalition offers free prenatal breastfeeding education course which cover topics such as • Breastfeeding basics • Skin to skin • The “Golden Hour” • Returning to work • Breastfeeding rights • Breastfeeding recommendations • Common breastfeeding concerns ... and more! Courses are available online or in-person. classes can be requested with this form. Breastfeeding has countless benefits for both a mother and her baby. Breastmilk contains all key nutrients babies need, plus probiotics and antibodies. Breastfeeding may help prevent many infant health problems. Breastfeeding also decreases a mother’s risk of developing breast and ovarian cancer. The World Health Organization recommends exclusive breastfeeding for the first 6 months and continued breastfeeding up to 2 years of age and beyond! Breastfeeding education has been shown to help increase breastfeeding rates and success and improve breastfeeding experiences. White Mountain Breastfeeding Coalition offers free prenatal breastfeeding education course which cover topics such as • Breastfeeding basics • Skin to skin • The “Golden Hour” • Returning to work • Breastfeeding rights • Breastfeeding recommendations • Common breastfeeding concerns ... and more! Courses are available online or in- person. their support person to the class.